Home / News / Support the Center this Weekend at Dat Dog! 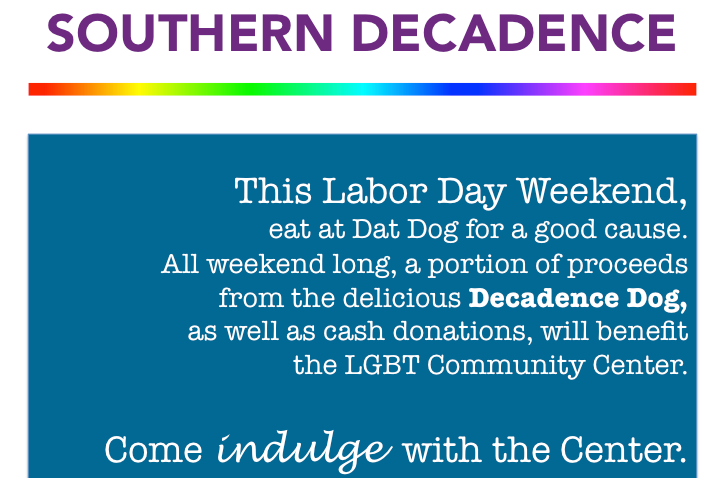 Support the Center this Weekend at Dat Dog! 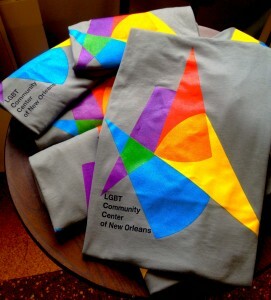 indulge with a Decadence Dog and purchase an LGBTCCNO t-shirt! as well as cash donations, will benefit the LGBT Community Center. We’ll be at Dat Dog’s Frenchmen location (601 Frenchmen Street) from Friday, August 29th-Monday, September 1st with smiles, t-shirts, and lots of hot dogs.